210 websites of the central and state government departments were found to be displaying personal details and Aadhaar numbers of beneficiaries, Parliament was informed today. NEW DELHI: About 210 websites of the central and state government departments were found to be displaying personal details and Aadhaar numbers of beneficiaries, Parliament was informed today. 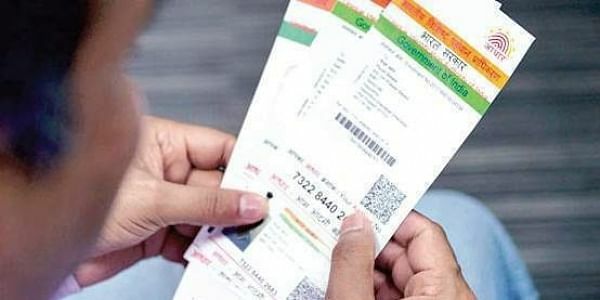 "UIDAI (The Unique Identification Authority of India) has taken note of the same and is regularly monitoring the status to get the Aadhaar data removed from the said websites," Minister of State for Electronics and IT, PP Chaudhary said in a written reply in Lok Sabha. The monitoring came after "it was found that around 210 websites of Central Government, State Government Departments including educational institutes were displaying the list of beneficiaries along with their name, address and other details and Aadhaar numbers for information of general public." There has been no leakage of Aadhaar data from the UIDAI, he added. Chaudhary said that private players have not acquired any Aadhaar data including biometrics from the UIDAI, and sharing of Aadhaar information is done only with authorised agencies through secure applications after following well-established procedures and protocols. The sharing of Aadhaar information is regulated in terms of the Aadhaar (Sharing of Information) regulations 2016 framed under the Aadhaar (Targeted Delivery of Financial and other Subsidies, Benefits and Services), Act 2016. To another query, he said that the linkage of Aadhaar number with PAN (Permanent Account Number) database will allow a "robust way" of de-duplication as the former is based on biometric attributes of finger prints and iris images. "Some instances were found where multiple PANs have been allotted to one person or one PAN has been alloted to multiple persons despite the application of de-duplication process based on demographic data," he said. Seeding of Aadhaar will allow weeding out any undetected duplicate PANs, he added.